A couple about to retire found a contemporary kit house on a lakefront lot, but the home needed modern upgrades and despite a long span structure, had numerous small rooms and oddly located stairs that were difficult to manuver. A new addition allowed us to relocate a guest room, laundry and circulation to create a more generous and flexible living / kitchen area overlooking the lake. 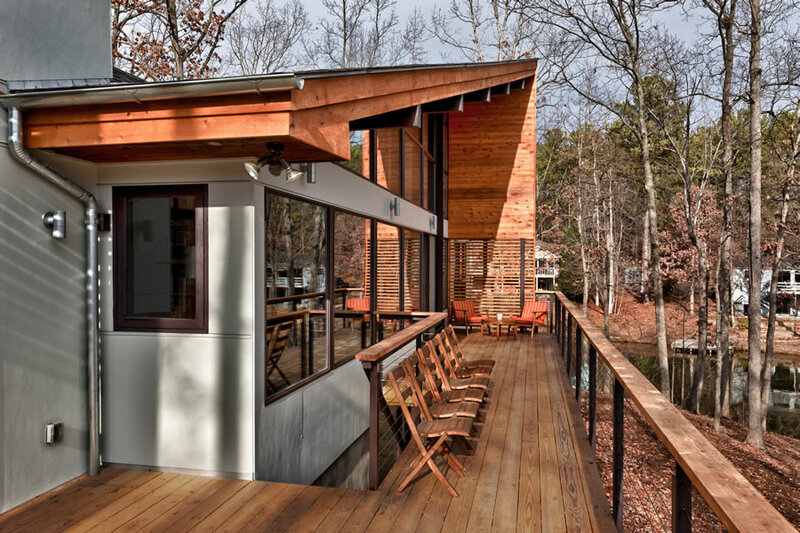 By reconfiguring the roof line, a loft space could now be better utilized and a new exterior deck allows the house to open up to the wooded site. 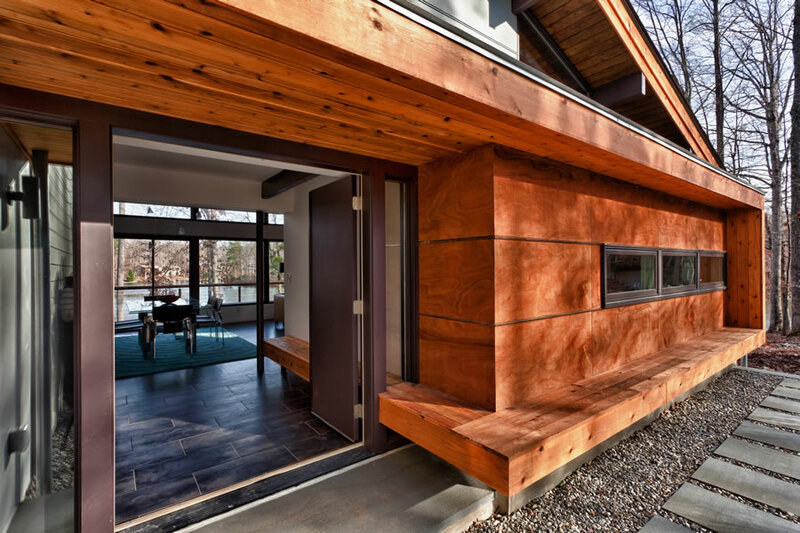 The house is clad in a synthetic rainscreen and cement board panel siding to offset the warmth of the cedar trim and ceilings throughout. The walls are purposefully keep calm with a neutral white to allow rich, ebony stained wood floors to stand out. 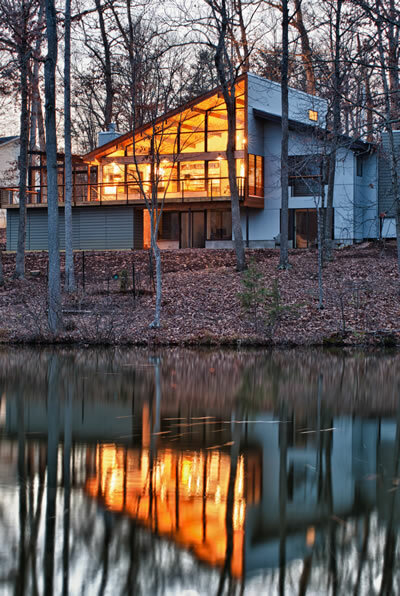 Natural earth tones on the exterior help the house blend into its environment and sit quietly on the site while the new structural adaptations expressively respond to the scale of the lake’s open water.